Haters on social media usually refer Vera Sidika as plastic because she underwent multiple cosmetic surgeries to spice up her appearance. The bootyful socialite bleached her entire body and even went under the knife to get silicone filled into her breasts to make them look yummier and bigger. Even Otile Brown had to deal with lots of haters for the time he was dating Vera, every time someone had to remind him that he was dating a plastic. 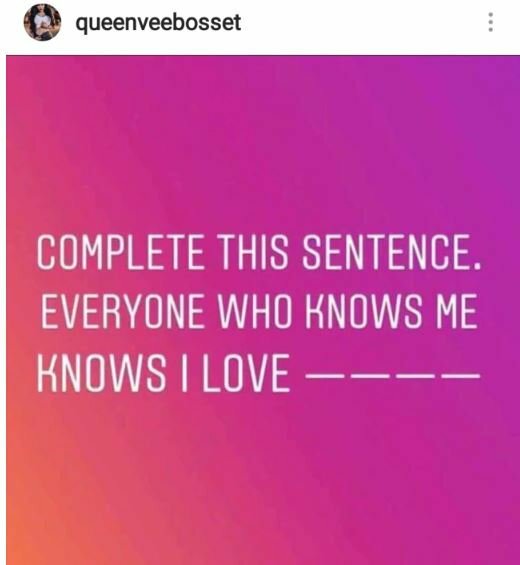 Vera recently took to social media to engage her fans, she asked people to complete a sentence in which she asked her fans what guess what she loves. “Everyone who knows me knows I love…” Wrote Vera Sidika. 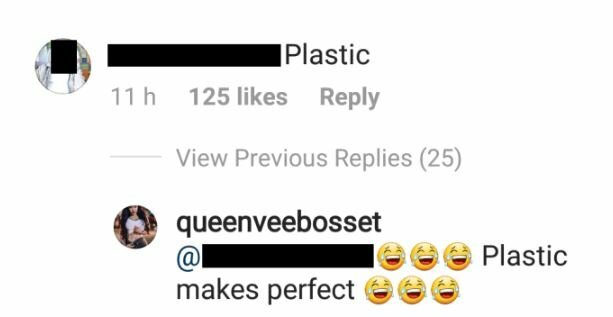 A critic responded saying that Vera loves plastic and the socialite responded. She wasn’t offended by the comment rather she joked about it. “Plastic makes perfect,” Vera replied.